Our personalised vest tops are ideal when you need a large printing capacity and high-quality. 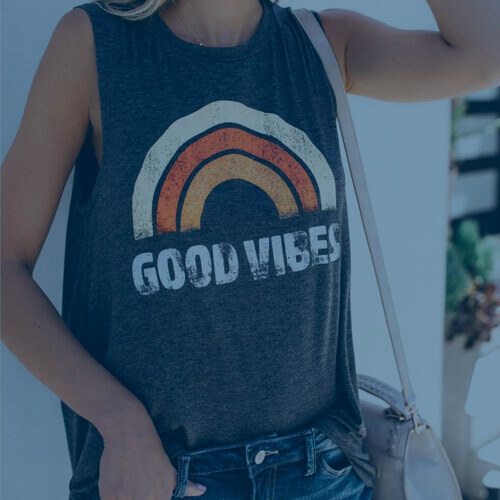 Whether you’re looking for sports vests, big running events, sports clubs, or festivals, our custom printed vest tops are a great alternative to T-shirts. Do you need to print personalised sports vest tops for a big event? No problem! Our printing expert will find the solution for all your needs and will clear up any questions you have quickly. Printsome specialises in bulk vest top printing. Whether you have 100 or 10,000 people attending your sporting event, we can help. We work with all kinds of sports event organisers, whether they’re working on marathons, tournaments, championships, races and more. 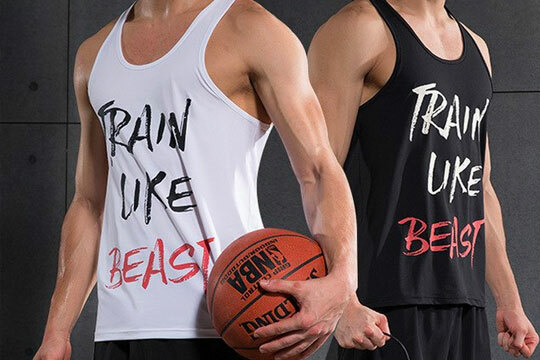 We print not only unisex sports vest tops, but we also print onto specific items for men and women. 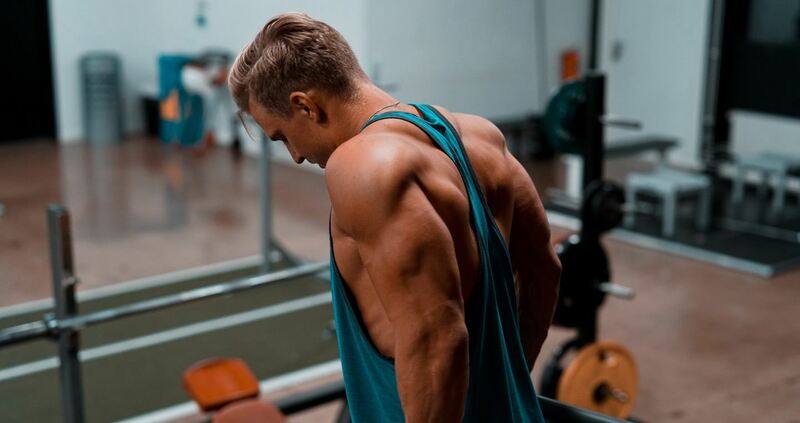 All of our printed sports vest tops are specifically cut to adapt to your needs. We work with a range of brands, like Roly, Fruit of the Loom, Gildan and more to offer you the best options according to your budget and requirements. 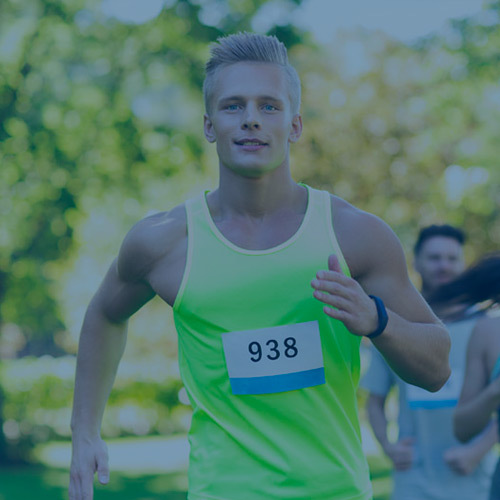 We offer comfortable, breathable sport vest tops for your sports club or sporting event for a number of different sports, including running, tennis, basketball, football, paddle tennis, and more. 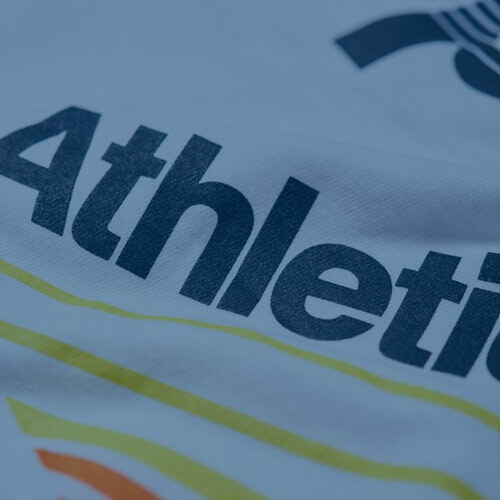 We also offer personalised running tops for sporting events or marathons, which will not only look good but are also designed to perform well when you exercise and move about. Screen printing is the best printing technique for printing wholesale. 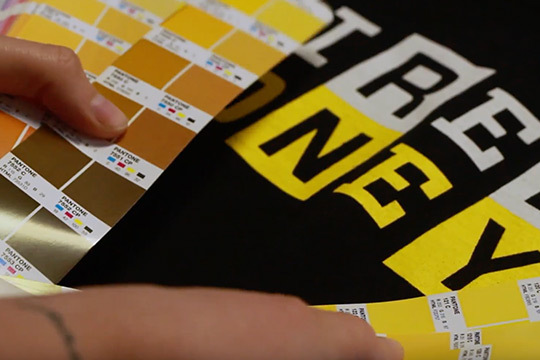 This is how we do screen printing at Printsome so you can get an understanding of the process from start to finish. If you have any questions, contact us, our experts will be happy to help. 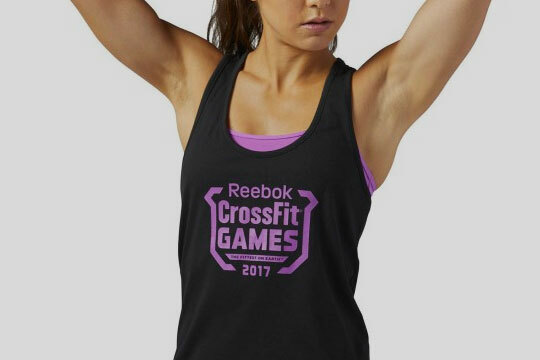 Where can I print custom vest tops in the UK? We print in bulk everywhere in the UK, from London to Glasgow and beyond. We deliver our custom vest tops throughout the UK, so no matter where you’re located you’ll be able to get personalised printed tops delivered to you. We also specialise in fast shipping for custom T-shirts, ensuring that your order gets delivered to you in a timely fashion. No matter where you’re based in the UK, our team of experts will help you get your personalised tops printed beautifully and delivered quickly. What are the advantages of printing in bulk? Printing in bulk lets the customer get the best unit price possible. To do this, you need to order at least a few hundred pieces with the same design. When working with screen printed T-shirts the ideal option is to use the same setup to do a large order of T-shirts. Printing 50 personalised T-shirts isn’t the same as printing 500, but the time it takes to prepare for production is the same in both cases. That’s why the more units you print, the better the price per item you can get for your print run. What printing techniques are used for custom printed vest tops? There are lots of different printing techniques that you can use for custom printed vest tops. One term you’ll see a lot is DTG printing, which means direct-to-garment printing (where the designs are printed directly onto the fabric with inkjet technology that injects the ink into the fabric). Another common technique is high-quality screen printing, which uses a screen to push ink onto the fabric. Both techniques result in great-looking for custom printing T-shirts. In our complete catalogue, you’ll find lots of different options for vest tops, including 100% polyester, 100% cotton, as well as blends. In addition to these products, we offer more than 5,000 more products from different brands and at different price points, so as to adapt to the needs of any customer. We work with major brands of customisable clothing, like Roly, Fruit of the Loom, Result, Nike, B&C, Regatta and more. Get in touch with us today to request a personalised budget! There are so many different styles of vest tops out there that you might have no idea where to start. Here's a guide for that. 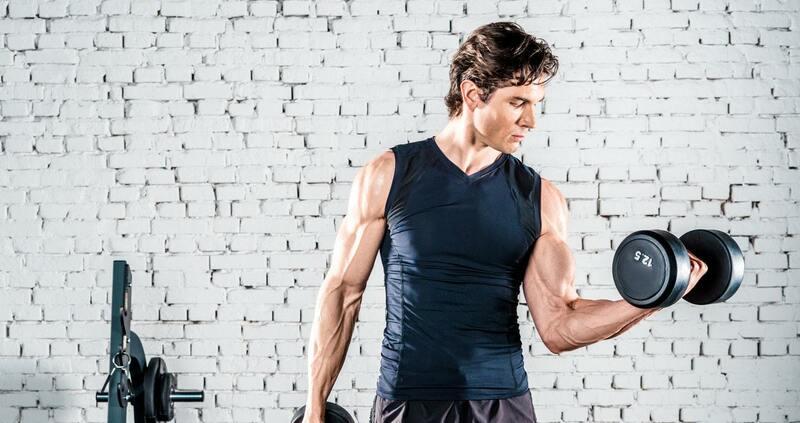 The vest is a no-brainer when we have to work out. But what's the proper fit? Fabric? Length? Here's a guide on how to wear vests. Mike Riches challenges the bad reputation of printed vests in the UK by showcasing what they have to offer this season. Personalised vest tops, what Printsome’s also do best! Like pretty much anything else these days, the best place to buy any type of garments is online. Not to pat ourselves on the back, but choosing our services is a pretty good option when it comes to ordering printed vests tops online. Printsome is the agency that makes vest top printing easy for you. Are you planning to order personalised vest tops for an event, for your next marketing campaign, for your staff, for a running race? Bulk orders are our specialty. To start helping with your process of ordering in bulk we first have a good old pros and cons list you might want to read. Pros: You save money! This makes sense because the more units you buy at once, the lower the price per unit will be. Consistent quality! All of your printed vest tops would be printed in the same timeframe. You save time! You only have to place one order instead of ordering the same items separately over and over. You’re friendlier to the planet! There’s less transportation involved so you reduce the emissions of CO2. Don’t you care about Mother Earth? You get more stuff! This isn’t exactly rocket science. When you order more, you get more, making it easier for you to manage your stock. Now, to be able to make a well informed decision you need to know both sides of a story. Here are the cons: You need a big space at your disposal. In order to make our last pro come to its right, you need storage space. It’s pretty much like the thing mothers always say, don’t bite off more than you can chew. In this case: don’t order more than you can store. Also, it’s harder to calculate. Don’t get me wrong, I don’t take you guys for fools. But it is very tempting to buy when you’re being offered more for less. It can lead to buying more than you originally intended. If you’re hosting an event and you’re expecting around a hundred people, it’s not that hard to figure out that you won’t be needing a lot more than 100 garments. So, as you can see, there aren’t a lot of cons if you use your common sense. Bulk vest top printing should be a no-brainer if you find yourself in any of the following situations. You want to keep costs down (don’t we all? ), you want the tops as a giveaway, you’re a designer and have a “signature” piece. Aside from our little pros and cons list there are a couple of best practices you might want to have a look at. Even though you might want to reduce the costs, it’s a another thing to be cheap. Let’s say you get carried away by the idea of pinching as many pennies as you can and on top of ordering in bulk, you also buy the cheapest possible fabric. Chances are the inexpensive vest top is not the one with the best quality. Think about it this way: If you sell someone a top that falls apart after just a couple of washes, then chances are that that client is not coming back. Another great tip: it might be good idea to keep the artwork simple. It will not only help to keep the costs down, but also make the printing process easier. A typical design for bulk printing normally consists of simple lines and a handful of flat colours. Whether you need personalised vests tops, custom t-shirts, polo shirts, personalised hoodies, Printsome is the way to go! 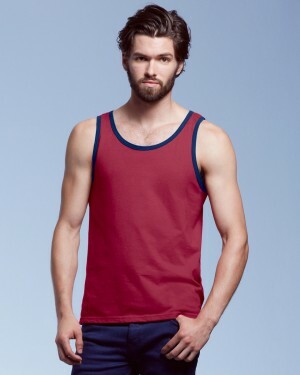 Our vests catalogue includes men’s and women’s vests, unisex vests, in classic, racerback or fitted styles. Vests are also known as tank tops, just in case you were getting a little confused (although some of us may remember a tank top as a woolly sleeveless garment that grandma probably knitted!). 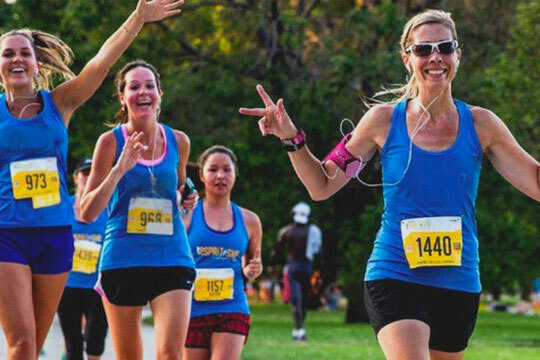 Custom vest tops are great for sports as they are lightweight, cool and easy to move in.At Printsome, we get that sometimes things just need to go fast. That’s why we have two delivery options. Express delivery: 2-4 days, or the standard delivery: 5-10 days. If after this you still need more flexibility, just ask your account manager. We will always try to make things work for you! If you need any more information, or just want to have a chat about our T-shirt printing service, just get in touch! We will gladly help you out. Vest tops are always going to be a discussed topic when the summer gets around the corner. It isn’t any different now. If you are a little short on cash to pay for a designer vest or you’re just not feeling the options that are out there right now, then create your own! With printed vests tops you can create something unique nobody else will own, save money, be creative, and so on… Don’t know where to start? 3 simple tips: Get in touch with printing agency like Printsome. We will be able to give you the information you need. Sometimes you don’t have to look too far. Don’t know what to use them for? Use vest top printing for uniforms, for team members that have to deal with physical activity or hot temperatures. Basketball team, lifeguards, summer camp guides, volleyball team member, promotional garments for a Yoga class, event organisers at a beach event, body building competitions, athletics events, marathons, climbing, bike riding, roller skating. These and many others are good reasons to order personalised vest tops. It’s pretty simple and even economical depending on the quality of the materials. The only thing you need to do is a find a design and send it to a T-shirt printing company (like, let’s say, Printsome) so they can produce your printed vest tops.